PhysioLift Smoothing Day Cream Smooths The Appearance Of Deep Wrinkles, Moisturises And Retightens The Skin Thanks To An Exclusive And Patented* Combination Of Complimentary Anti-Ageing Ingredients. The Skin Looks Visibly Replenished And Rejuvenated. PhysioLift Cream Is Hypoallergenic And Non-Comedogenic. 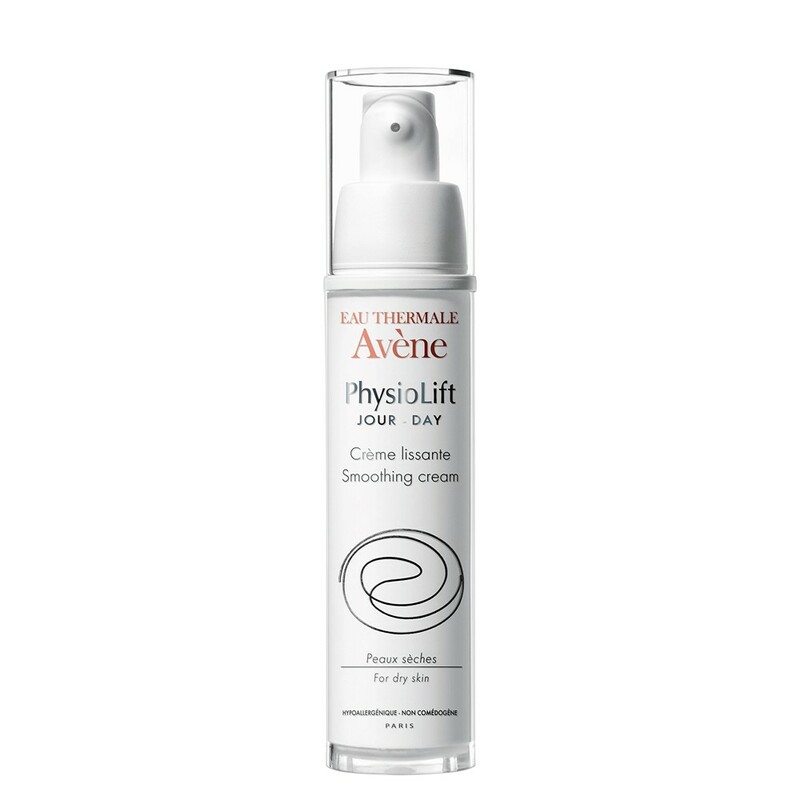 PhysioLift Smoothing Day Cream Meets The Needs Of Dry Skin By Providing Comfort, Suppleness And Softness. Apply In The Morning To The Face, Neck And Décolletage. AVENE THERMAL SPRING WATER, ASCOFILLINE, HYALOURONIC ACID MONO-OLIGOMERS AND RETINALDEHYDE, A DERIVATIVE OF VITAMIN A.